What? 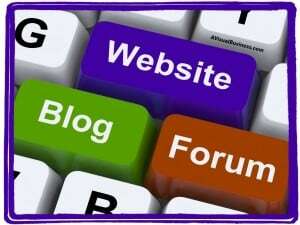 A blog can help with your search engine optimization (SEO) efforts for your website? Who would have thunk?! 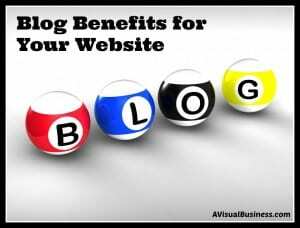 🙂 Yes, a blog is very beneficial! Blogging ON your website helps keep your content fresh. And I mean on, not a different site that you link to either. Get with your web developer to see if you can house your blog on your website. Plus, think about it, you want your consumers to stay ON your website, right? You don’t want them to click on that link and leave your website, even if you have it open into another window. Plus, if you have internal links from your blog to your website, and vice versa, these are great aspects of SEO, I’ll get to that in a second. You can check out my SEO page to understand a little more about search engine optimization but the premise is this – search engines index your website to have your information on cache. It needs to be stored so that when a person types in a search query, the search engines review their cached data on all of the websites they have indexed and then provides the results in order of relevance to their search. So, the more regularly you update your information, the more likely the search engines will index your site, (ideally it is monthly) then the “more fresh” your stored information will be. You may not update the static pages on your website (hence static)– the about me, the products pages, the home page, the contact pages and the like. (BTW, this is part of SEO and that is also something you should be doing.) So, the ideal solution would be to have a blog that gives the consumer or potential consumer reasons to revisit your website AND the search engines. Umm, helloooo, WIN-WIN, right? If you are already a blogger, then you are doing well, now all you need to do is to add a blog page to your website and blog at least one a month, preferably 2-4 times a month and you are well on your way. Back to why blogs help with SEO – it gives you an opportunity to talk about what you do which can help the consumer but also gives you an opportunity to link to other pages in your website. Let’s say that a consumer hasn’t thought about Paid Advertising before (like my industry, my potential consumer) but I discussed in a blog about – “Would Paid Advertising on Search Engines Benefit My Business” and I link back to my Paid Advertising (PPC) page. Now, first, I elaborated about a subject that I already had on one of my pages, second I linked back to that page and they might click on it to gain further information and so now they saw a page they might have never clicked on before because it wasn’t for them. Ironically, several of the comments on that blog did mention that they hadn’t thought about PPC for their business. Win >>> potential customer! Last thing, I did briefly touch on it within the first paragraph, linking is one of the four main components of search engine optimization. Think of it this way, when other people link to your website it is because they think that you have something of value to offer. This gives your site “authority” on that topic and tells Google, hey, this is important, they know their stuff. It’s like kudos! Also, keep this in mind, when link building, you want to be sure you do so ethically. Don’t buy crap links to try to get authority on a subject, Google is smart and will figure it out and you will pay! So don’t take that risk. Oh, one more thing, as you are out and about in the world wide web, find forums, like blogs or the like, that you find of value to your industry and feel free to add your two cents and link back to your page or blog to validate the comments you make. This helps others and can help you as well, as long as you do it tactfully and honestly in gist. Thanks for reading, I’d love to hear what you have to say so please feel free to leave a comment. If you need any help with your website as far as search engine optimization, paid advertising or social media marketing, contact me, I’d love to help! « Would Paid Advertising on Search Engines Benefit My Business? Oh, yes; blogs definitely help with SEO. Those little robots love to see change and if you blog regularly, that’s change. The quality of your content needs to be fresh and interesting in order to entice people to come back again. Hopefully, you know more now! 😉 Obviously you are doing well, so it is helping! Linking near the top is the best, in that you put the important stuff at the top. Search engines and consumers follow that. Think, if a consumer starts reading and fizzles out, at least they read the most important stuff, right? Same with the search engines. However, it is hard to put ALL of the important stuff at the top, right! 😉 Yes, buying links was huge a while back and well, Google came up with an update to punish those who did.. so yea, ethical is best…always. It is a tough topic to explain w/o getting that glazed over look! lmao. There was so much more to tell, but I feared info overload. Thanks! Very nicely explained and easy to understand. One of the first things I tell my clients is (a) to blog and (b) if they already have one under a different domain name, move it to you main website. Great info…thanks for sharing. I had a person who was guest blogging for me and found out by accident that on her own website, she had a link to her blog ON my website. Quite odd, but I didn’t mind the traffic. This is a good article And love tips on writing the article and getting it to go viral. Thanks for the information and also getting the correct links to the post, too. I’m trying to get my employer to blog now. People who think putting up a website is good enough are fooling themselves. 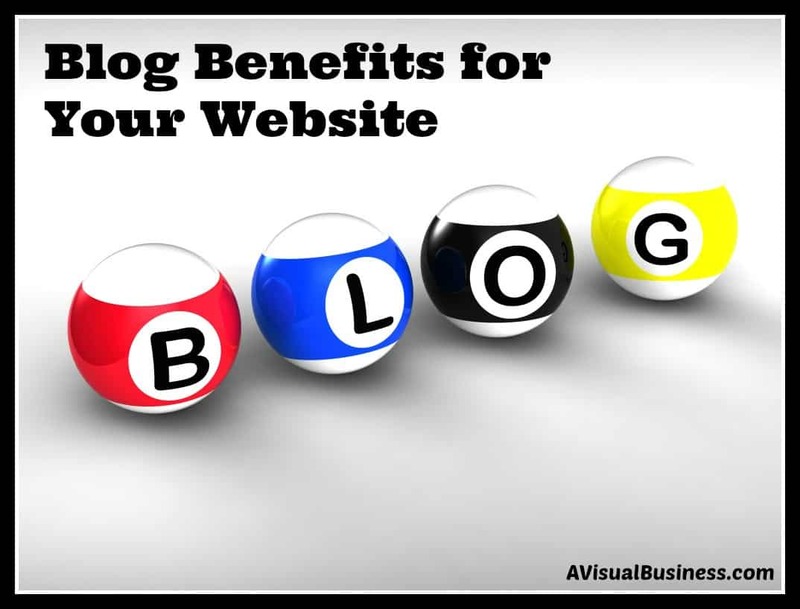 Blogging is not only good for SEO but for establishing your credibility and breadth of knowledge, too. OMG Jackie, blogging for vaca sites could be HUGE! Plus it drives more traffic to their site.. WIN! I’m always down for some SEO learning. Here’s a question your post brought to mind: when your blog uses a recent or related posts feature, do those links help / hurt/ have no net impact upon your SEO? Or is it only the links built in your post? Thanks Jennifer.. maybe I’m not understanding the question… you mean on the home page where it pulls the top blogs? If so, I’m going to say that it has no impact to SEO directly because it is a website function… however, the fact that it puts something in front of the consumer where they might not have seen it and gives them the opportunity to now see it… HUGE.. which could ultimately relate to improved visibility and better SEO. And yes, internal and external links (when used correctly) within your blogs are helpful. That help?